New Rochelle’s City government and School District are teaming up to take a better and more comprehensive look at the interplay between development goals and educational services and facilities. This is not a new issue. 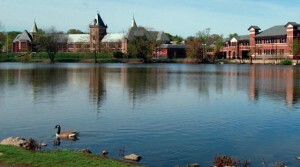 Residential development is very important to New Rochelle’s future, but every time new housing is proposed, many residents express concerns about the accuracy of school enrollment projections, the cost of educating new students, upward pressure on class size, and the physical capacity of school buildings. While the impacts of development are sometimes (in fact, often) exaggerated, these concerns are entirely legitimate. As both a parent with public school kids and as a taxpayer, I want to be sure we get it right. When it comes to evaluating specific projects, the City has already made big improvements; enrollment estimates are now more accurate, and tax incentives are now structured to cover projected school expenses. So what is new? This will be the first time that we have evaluated the challenge holistically. We are retaining experts to look at baseline population and demographic trends, layer on the City’s development and growth objectives, and then compare these projections to the capacity of individual schools. We’ll have a better understanding of the tipping points that could require investment in school construction or expansion, and we’ll be able to evaluate individual projects in the context of a broader plan. Finally, this will make it easier to distribute costs in a way that protects taxpayers but – hopefully – does not impede beneficial development. You can read more in the request for professional services that was issued this week.